Congratulations to Jeffrey Noble of Spring, Texas, DCI.org's Fan Appreciation Giveaway winner for the week of Wednesday, Jan. 31. 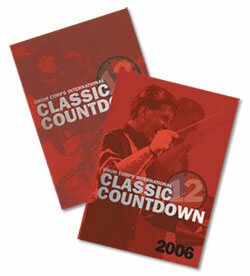 As a randomly selected winner, he won a DCI Classic Countdown DVD bundle. Noble said: "Wow! Thanks! I can't wait to see those DVDs!"